A Jeep Wrangler is awesome as soon as it rolls off the assembly line, but one of the best things about it is that it’s infinitely customizable. There are so many custom and bolt-on accessories for Jeeps that it’s hard to know where to start! It doesn’t matter whether you’re rock climbing, mudding, or trail running… you need to have enough ground clearance to make your way over whatever the trail throws at you. There’s nothing worse than getting stuck on a low tree and blocking up the trail while you winch your way free. I speak from experience here — I got a little over-excited after I got my first Wrangler and took it out onto the trail before I’d done any customization. Take it from me, it’s humiliating. Lift up your Jeep before you go offroad. A good lift kit that can take a beating will probably set you back a couple grand. Don’t buy those cheap lift kits from your local parts store for $20 or $30 — they can’t stand up to the strain of off-road driving. If you haven’t put a lift kit on a car before, consider paying a professional to do it or at least watch some how-to videos on YouTube. What are you going to do with your Jeep? If you’ve spent the time and money to lift up your Jeep, then the next logical step is to upgrade your tires. A lifted frame can handle larger tires than the stock Wrangler, so pick tires that are good for the kind of off-roading you’re planning to do — but that can also be driven without too much trouble on regular pavement. You might want to upgrade your brakes at the same time — to compensate for the larger tires. Larger tires equal longer stopping time, and the last thing you need to do is to run over a bunch of little sedans on the way home! Don’t leave home without your winch. Period. This is non-negotiable. If you get stuck, your winch is the only thing that’s going to save you from a costly towing bill — and that’s if the tow can even get you out of whatever hole you’ve gotten yourself stuck in! Pick a winch that can haul the weight of your Jeep plus resistance to handle any grade or sticky mud that might be holding you back. A good rule of thumb is to buy a winch that can haul your Jeep one and a half times over. The line you use in the winch is up to you. I prefer metal line because it takes a beating much better, but synthetic is much lighter for the same amount of line. There’s nothing worse than busting a headlight or taillight when you’re trying to make your way down the trail — especially if you’re off-roading in the dark! Spend the money to get some light guards for your front and rear lights. A set of 8 guards designed to protect your head lights, tail lights, turn signals, and side marker lights costs only a few dollars more than it does just to replace the headlight assemblies! Plus, the guards are easy to install and save you the enormous hassle of having to pry out a broken and misshapen light assembly after you run into an awkwardly placed tree or rock. You expect to get a few dings and scratches on your Jeep when you’re off-roading, but there’s no reason you should let rocks totally trash the sides and bottom of your Jeep. Invest in a set of rock sliders — to prevent rocks from sneaking up between your wheels and damaging the frame. They’re easy to install, bolting right to the frame. Even for someone like me, who had never installed them before, it only took me a couple of hours to get them on and ready to go. They rest neatly between the front and rear tire on both sides and are perfect for taking the impact of rocks and trees when you’re tearing down the trail. No, I’m not talking about doing crunches. I’m talking about your driveshaft — the core of your drive system. If you’ve lifted your suspension and installed larger tires, chances are you’re going to need to upgrade the driveshaft as well. A lot of off-roaders don’t, and they end up trapped on the trail with a snapped driveshaft waiting for a push or a tow. It’s a great way to ruin a day on the trail, I can tell you that. And if you’ve lifted your Jeep, it may force the driveshaft into the exhaust pipes, creating more problems. Unless you’ve specifically requested a locking differential for your Jeep when you ordered it, you probably don’t have one. Open differentials are essential to the operation of nearly every car. But when you’re trying to climb over an obstacle, sometimes you need to lock equal power into both tires — rather than letting them move independently. 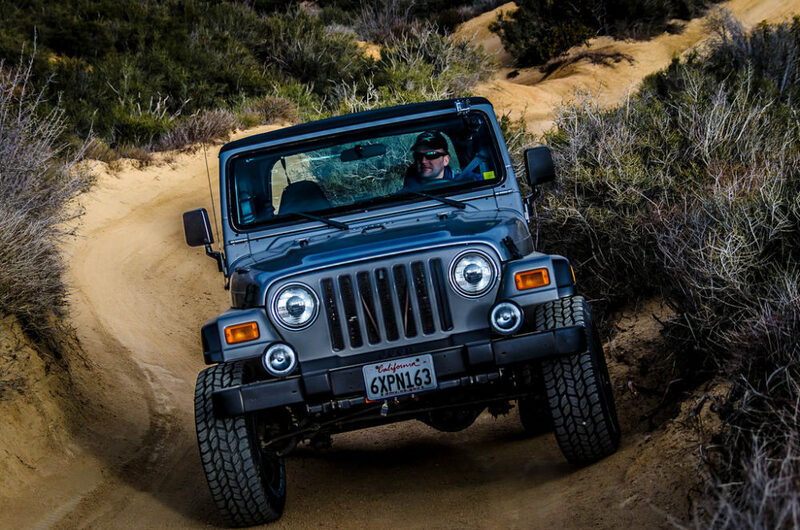 By locking the differential, you ensure all the power of the engine is transferred equally to the tires — which is what you need to get you up and over that rock or hill. If your Jeep doesn’t have a differential lock, there are some aftermarket options. Just make sure you know what you’re doing before you try to install them! The Wrangler is the perfect car for me — both on and offroad. By adding a few customizations, you can turn it into one of the best and most versatile cars that you’ll ever own.